Representatives from the Epilepsy Association of Nova Scotia were at CFB Halifax on March 26 to celebrate Purple Day, the national day in support of Epilepsy Awareness in Canada. 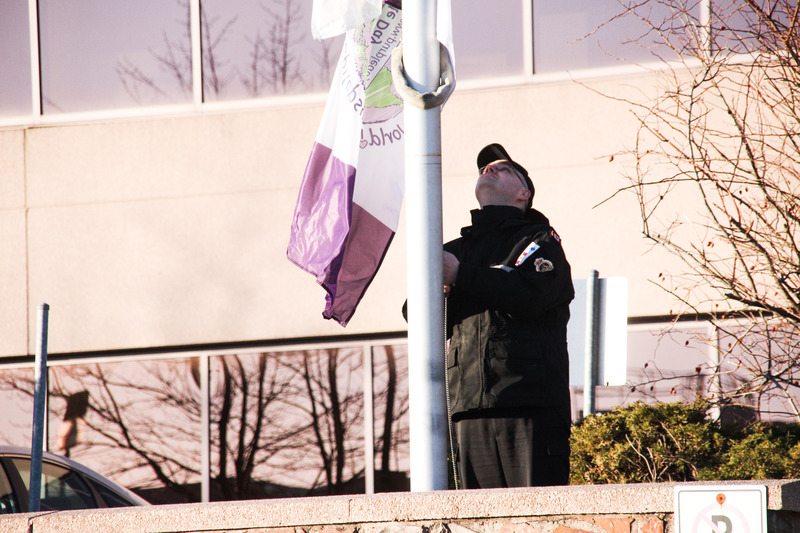 The group witnessed the Purple Day flag raised as part of morning colours, and EANS Executive Director Debbi Tobin then held a small information session at St. Brendan’s Chapel. The effort to recognize the day on the base was led by PO1 Charles Bressette of NFS(A) and his wife Lyndsay, who was diagnosed with epilepsy in 2016.